Cultural Encounters' philosophy embraces the joy of learning through the art of travel. Our tours are led by professional educators and exceptional guides with backgrounds in archaeology, art history, botany, painting, architecture, viticulture and culinary arts. 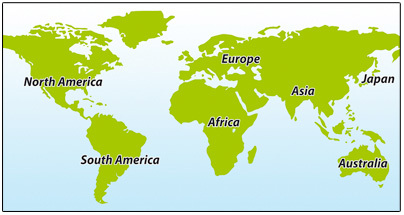 Specializing in Europe, the Mediterranean, Africa and areas of the Caribbean and South America, Cultural Encounters designs and customizes unique travel itineraries for large or small groups (including families) or the single adventurer. Our president Harriet Harris holds a BA in English Education from SUNY Albany. Before creating Cultural Encounters, she was employed at the prestigious travel company Travel Dynamics in New York City. Currently, she collaborates with Frosch Travel in Houston, Texas and is a proud member of the Signature Travel Network. Through this affiliation, she offers Food Network Tours for the serious foodie interested in a culinary travel experience, and consults on international tour packages and cruise products. Harriet has over thirty years of travel consultant experience. Born in New York and raised on the East Coast, Harriet spent a chunk of her life in Austin, Texas. She considers Italy, especially Rome, one of her “homes away from home.” Currently, she resides in Santa Fe, New Mexico. She enjoys hiking and all manners of outdoor activities. And, she teaches yoga part-time. 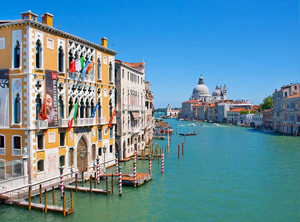 Our intimate group will gather in the evocative city of Venice. We'll explore its development as a geo-political powerhouse during the Middle Ages: a power created by trade federations; access to the sea; and the closely guarded secret of glassmaking. From Venice, we continue by train to Florence, birthplace of the Italian Renaissance where we will visit the beautiful David, created by Michelangelo when he was only twenty-six years old. Of course, there will be time to shop the stalls and San Lorenzo market. We end the tour program in bella Roma with a visit to the Vatican Museum and lots of time to soak up the atmosphere of this ancient city as well as time to visit the ancient sites. Your congenial host on this program is Sherwin Little. Sherwin taught Latin and Greek for thirty years before retiring and starting a second career at the American Classical League. Sherwin has sponsored many tours for students as well as adults to most of the Mediterranean world and even beyond! Whether a beginner or experienced artist, come to Southern France to learn or improve as you study step-by-step botanical drawing and watercolor with Lisa Coddington. During scheduled classes and one-on-one guidance, Lisa will work with you to refine your drawing skills. 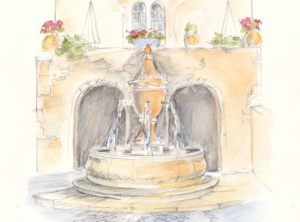 And, you will find unique and wonderful opportunities to sketch and photograph Southern France in the blush of spring. Lisa Coddington received her MA in Illustration from Syracuse University. She teaches college foundation drawing classes and botanical drawing and watercolor at the University of New Mexico and Santa Fe Community College. Lisa's art is represented by galleries in Santa Fe and South Carolina. In 2014, she was awarded a grant by the American Society of Botanical Artists (ASBA) to teach a botanical art workshop in Grenada, West Indies. Her illustrations have been published in children's books and licensed for gift products.